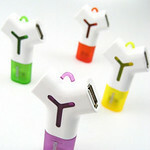 USB Clipの概要 The USB Clip can be clipped on any paper like letters, business cards or brochures. No chance to overlook it. The addressee can take off the clip from the document and connect it easily. The tread pattern at the inside of the Clip enable the necessary grip on the paper. 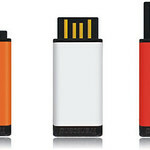 USB Clipはその使用者・利用者にどのような価値を実現したか The extremely convenient USB clip can be easily and recognizably attached to any document, such as business cards, stationary, flyers or brochures. 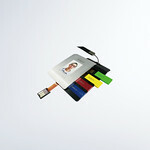 In addition, it holds together documents perfectly well and thus optimally combines analog and digital content in the true sense of the meaning.